As a fine art landscape photographer, I’ve spent years capturing the world’s most beautiful places, at all times of day and night. I’m passionate about sharing what I’ve learned because it’s by capturing the night sky that I experience some of my most memorable moments of tranquility (I think everyone can agree that the world could use a bit more of that). First, keep in mind that you will never (and I mean never) get the shot you want without getting up and getting out underneath your local starry skies. Getting a decent shot of a celestial host will take a lot more than sticking your head out of your bedroom window and pointing your camera upwards. 2. Slow down your shutter speed. Whether you are photographing the night sky, a beach, or a lake, shooting in long exposure is a must-try. For long exposure photography to work, you will need high-quality (not necessarily high price) equipment, time, patience, endurance, ambition and probably a coat (preferably an insulated one with all the nice feathers and stuff inside). Long exposure photography allows you to capture the passing of time in one shot, which makes it particularly excellent for capturing the movement of the stars in a clear night sky. The image you end up with will be totally unique to the night sky you witnessed, which means your work of art will be 100% one-of-a-kind. By manipulating the bulb (B) setting on your camera, you can adjust your shutter speed to ensure you use the correct exposure for nighttime photos. 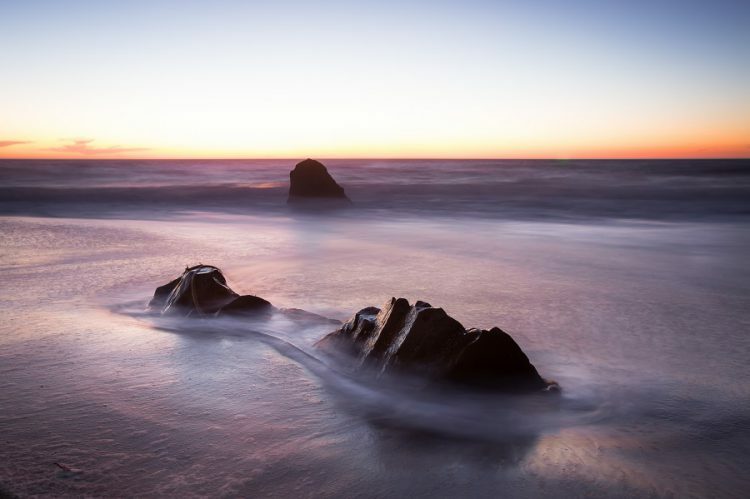 Whether you’re shooting in long exposure or not, low light situations often call for a tripod. Bring one that’s enough to hold a medium-to-large-sized camera and not move or jiggle. Any movement will cause the image to look less sharp and more unfocused. I also recommend investing in a remote shutter release for your camera. This is something I always bring with me when photographing at night! Using a remote control shutter release button, you can take a photograph without touching your camera or the tripod, thus giving you a much clearer image in camera and a deeper inner peace in your heart. Just like Po from Kung Fu Panda. 4. Use the correct lens. A lower-aperture lens is perfect for nighttime photography. In this case, the wider the aperture, the better your shot. I would recommend a wide angle lens such as a 12mm or a 16mm with a lower aperture range (1.4 or 2.8) so you capture get more in the lens and effectively tell your story. With the right lens, your camera can pick up the light in the skies that we ourselves can’t see with the naked eye. The longer the shutter stays open, the more light the camera can take in, (and the easier it will properly expose the image). 5. Shoot in manual mode. Every camera has a feature where the focus can either be set by the photographer or by the camera/lens itself, automatically. It is called the autofocus (AF) setting. When shooting at night in autofocus mode, the LCD doesn’t pick up enough light to read the subject matter. Slide the infinity mark on your lens to the left to get more of your subject in focus. 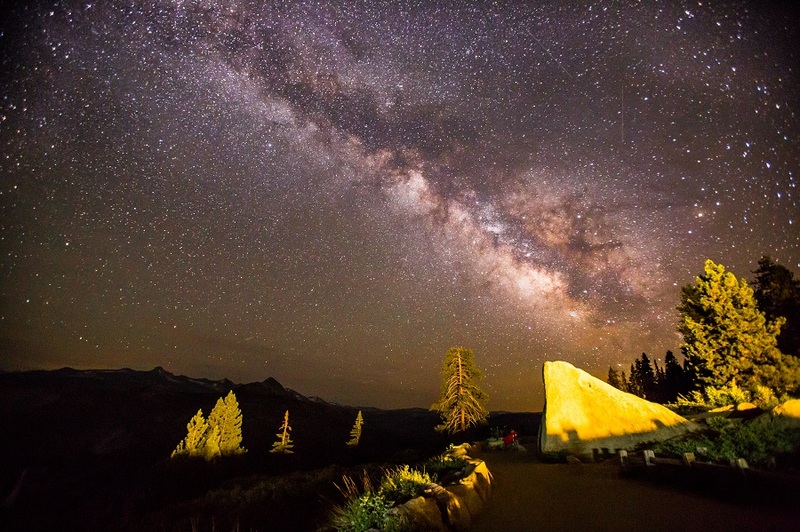 If you’re really set on capturing the night sky (hello, astrophotography fans! ), make sure you expose for the brightest star you see at the lowest aperture your lens can go to. The lower the aperture, the brighter the image will be in the shortest amount of exposure time. Regardless of your equipment, your technique, or your timing, the most important part of nighttime photography is being there. The stress of daily life totally fades away when you find yourself in the middle of capturing the stillness of the middle of the night. Getting out of bed at 1:00 AM to take a picture of Half Dome underneath the glory of the heavens will change your life. The best part? Those moments are out there waiting for you. Beautiful nighttime scenes aren’t inaccessible; they’re in our National Parks, on our country’s coastlines, and (sometimes) right outside your door. Rico Hudspeth is a portrait and fine art landscape photographer. He began photographing during his amateur skateboarding career, during which time he was sponsored by Active Ride Shop. He is based in the Greater Los Angeles area and is the winner of the Jose Gonzalez from the city of San Bernardino. 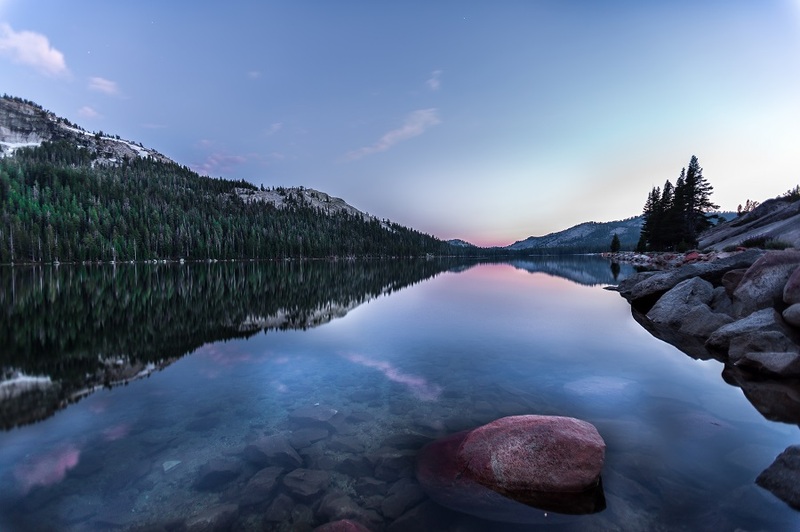 His photography has been featured on Sacramentopress.com, “Chasing Ansel”, lmcoshop.com modernoutdoorlife.com, and VerdugoPinesBibleCamp.org. Love it. “The moments are out there waiting for you “.